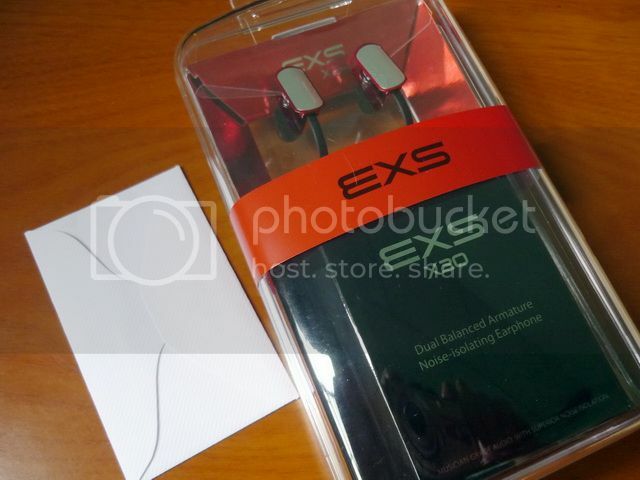 First, I'll like to thank EXS for the review sample. When it comes to headphone, Korean has never been known for a brand of its own in the past. 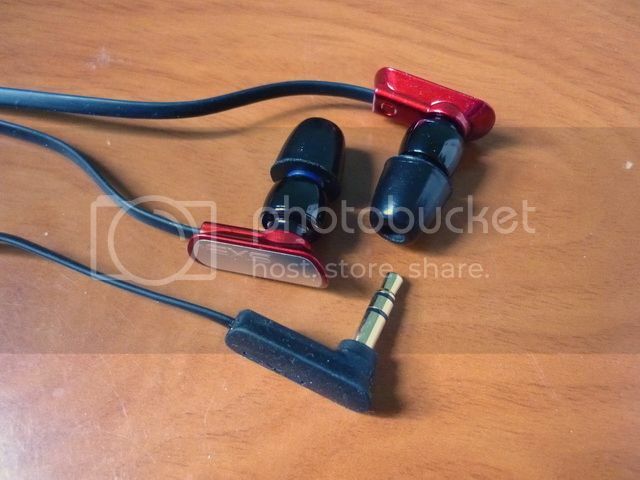 However, they have been in the OEM business for quite some time now and managed to pump out really big volume of headphone, especially earphones, which are often labeled with other companies’ name. Cresyn is perhaps one of the first to introduce its own premier line-up of headphone under the Phiaton brand. 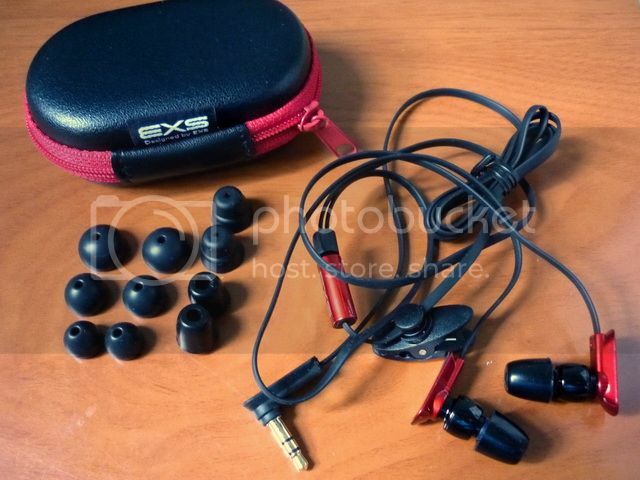 EXS, or Excellent Sound, is another brand from one of those really big ‘behind-the-scene’ Korean OEM company. They introduced their first model, the lower-end-market-targeted X10 about two years ago. It didn’t really make a big splash, but overall the sale was reported to be fairly well, especially in Korea and U.K. Late last year, they decided to release a follow up model, the X20, but aiming higher this time. Costing around 195000Won (or roughly US$175) and 3 times more expensive than the previous X10, EXS really do mean business this time with the X20. But does it fare well against the similarly priced and spec’ed B2 / DBA-02? Maybe it is not quite as eco friendly as most of the recent IEM packaging is, but I can honestly say X20 by far has some of the best looking box I ever seen. The full transparent hard plastic shell with a bold red color scheme really show a sense of class, not to mention they also showcase the IEM well and make people feel like they have their money well spent. Accessories wise, EXS isn’t cutting anything short. There are the standard single flange eartips of three different sizes, a pair of bi-flange and 2 pair of Shure’s black foam (olive) like foam eartips. The eartips are of really good quality, especially the foam tips. The only downside for me is they are slightly smaller for my ear canal and required a deeper fit. I end up using Shure olive because they fit me better and fully compatible to the nozzle without any modification. However, I can say they both work out really well on X20, certainly better than the silicone eartips in overall comfort, sound and isolation. 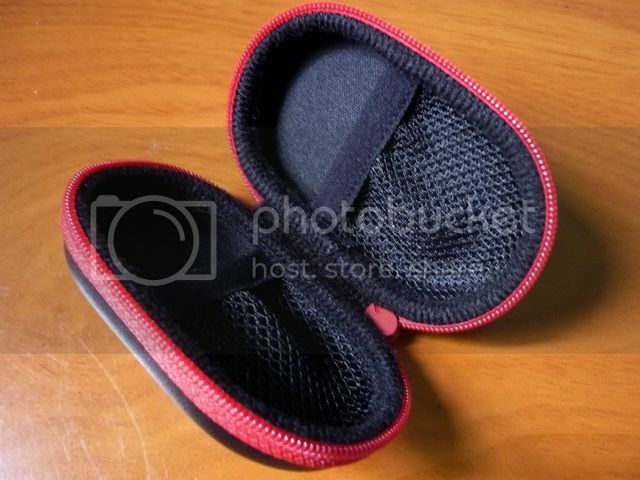 The included hard case is also in very good quality. Same can be said to the shirt clip, which is quite possible the best shirt clip I have even seen on any IEM. Perhaps not really something of great importance to many users, but it is small places like the shirt clip where you’ll find out just how much attention has been paid to refine the detail of the product. Build quality wise, X20 is top notch. 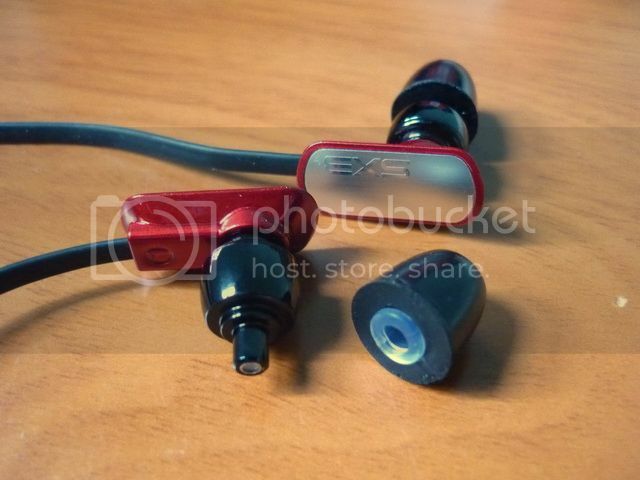 The IEM housing itself is a blend of plastic and anodized aluminum (and according to press release, it is the same type of harden aluminum alloy used on aircraft). While it lacks strain relief, the use of flat cable does work out very well to reduce stress and tangle. The earpieces are designed to be wore straight down, but it can be wore over-the-ear if wanted. 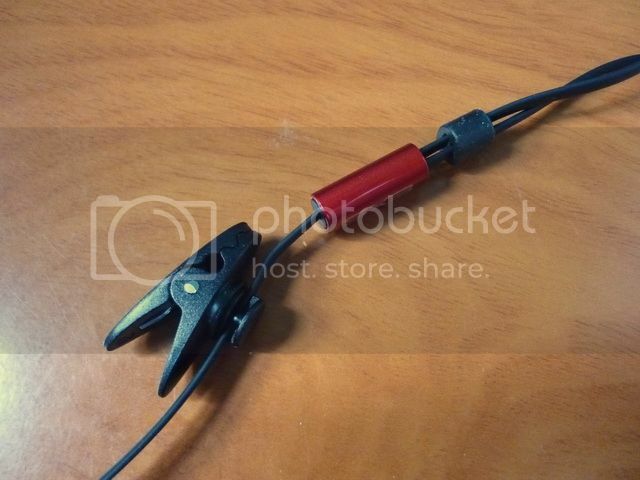 The shape of the earpiece not only looks stylish, it is quite practical in real life as well. The only minor worry I have is on the filter. It is placed close to the top of the nozzle which could make it prone to dirt and earwax. I haven’t had any problem with it so far but I do clean my ears regularly. It is by no mean a downside but it does mean the user needs to make sure the eartips will be cleaned often to prevent any clogging. Overall I have to say I am quite impressed by the build quality of the IEM and the whole package. 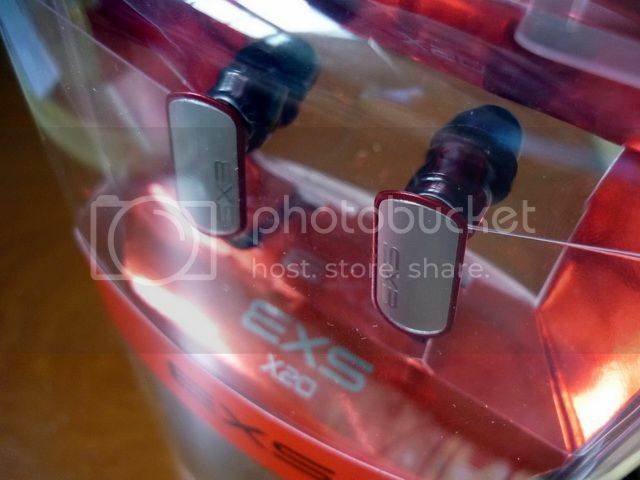 Even though this might only be the second IEM from EXS, it does show that the company, as a major OEM, really knows their craft well. The IEM has been given over 50 hours of burn-in before the review and no significant sonic change was detected. The overall sound signature, in short, is the tamed down version of B2 / DBA-02. This is not surprising consider that they are all based on the Knowles TWFK series of dual balanced armature driver. They are all lean, clean, neutral and bright sounding – but different from B2 (and DBA-02), X20 is less aggressive on treble presentation, has slightly less body on the bass end and a smaller soundstage. Bass has decent speed, but rather light in quantity, especially on body and depth. Mid is slightly forwarded on the whole presentation, but only just. It is a tad sweeter compared to the more neutral B2. Treble extends to the top, well detailed and with a very good amount of sparkle. It is bright for sure, but not quite nearly as aggressive as B2. Soundstage is only average, nothing to write home about – this is perhaps only grief I have with X20, that the soundstage isn’t quite as good as B2. Then again, B2 has a rather good soundstage for an analytical IEM. While I do say it is ‘tamed down’, X20 is by no mean a far worst sounding IEM when compared to B2. It is technically almost as good (or closely trailing behind, depends on how you like to describe it), but has a more mid centric tuning as oppose to the more open sounding B2. For whatever X20 has traded off, it gains in a slightly denser, sweeter vocal and a less fatiguing presentation. It is also more responsive to bass EQ, especially if you pair it with the digiZoid ZO. While ZO also works really well with B2, it never quite adds as much depth as it would with the X20. The transformation of X20 with ZO is much more obvious and enjoyable than the pairing of B2 and ZO. For some reason, X20 just scales very well even with just a minor touch of bass EQ - as if the switch to the X20’s sub-woofer is suddenly turned on. This is opposed to B2’s EQ result, where you are getting more in quantity than quality. For those who are afraid the B2 might be a bit too bright for your taste yet still willing to try the same sound signature, X20 makes the perfect alternative. It will be even better if you are willing to play with EQ or carry a small bass boosting amp to get the most out of X20. Consider that both B2 and X20 are in the same price range – what B2 offers slightly more is on sound quality, but X20 has better build quality and an easier going presentation. I’ll have to say the two are fairly closely matched – enough to give X20 a [4.85/5] Sonic Diamond recommendation as I has also given one to the B2. The only thing that holds back the X20 is its availability (or the lack of) outside of Korea and the reason why I didn’t give it an even higher mark. 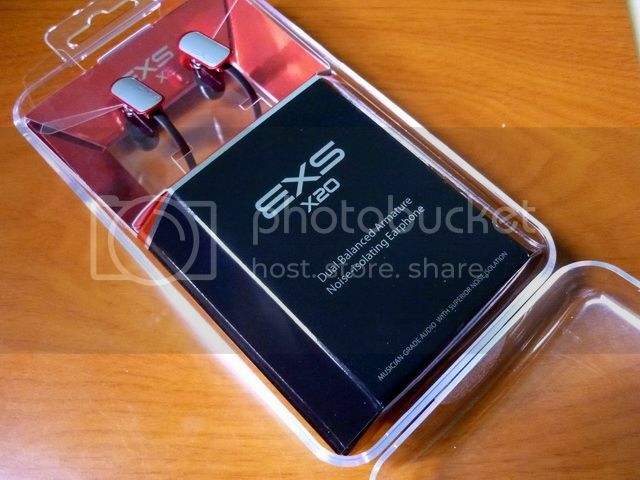 For the purpose of creating an IEM capable of competing with other high end IEM however, I think EXS has fulfilled its goal with the excellent sounding X20. Check out the List for a quick sum-up. p/s: EXS is looking for oversea distributors. Anyone who is interested can drop me an email / PM and I can give you the email to EXS. 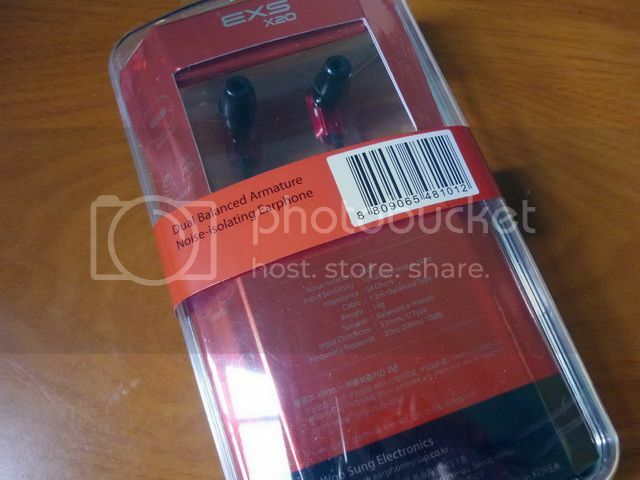 p/s #2: Stage93.com is selling EXS in Singapore, but I am not sure if they will do international shipping or not. You will have to email them to find out.